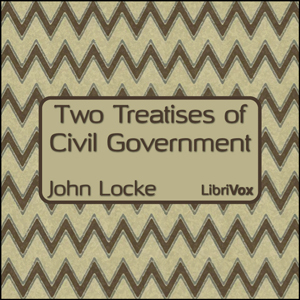 The Two Treatises of Civil Government is a work of political philosophy published anonymously in 1689 by John Locke. The First Treatise is an extended attack on Sir Robert Filmer's Patriarcha, which argued for a divinely-ordained, hereditary, absolute monarchy. The more influential Second Treatise outlines a theory of civil society based on natural rights and contract theory. Locke begins by describing the "state of nature," and goes on to explain the hypothetical rise of property and civilization, asserting that the only legitimate governments are those which have the consent of the people.